Oatmeal Stout Fragrance Oil is a hearty blend of fresh oats highlighted with nuances of orange, orange, deep roasted barley and fresh barley. 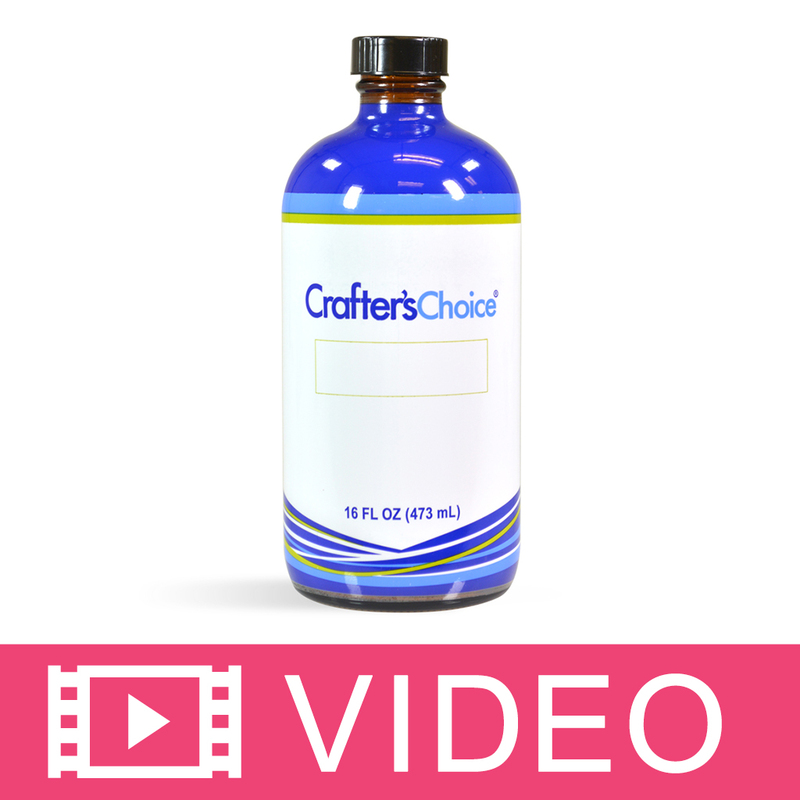 COMMENTS: I got a 4oz jar of this as a Christmas gift and made a batch of cold process beer soaps with it. 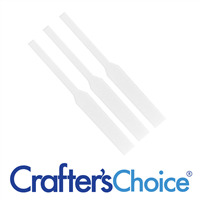 I added in some crushed Crafters choice oat scrub into the mix. What a hit these bars were, they disappeared so quickly from my shelves, I was a little disappointed I didn't have one left for myself. Buying a bigger bottle! My customers all commented on the amazingly yummy scent and hope I keep making soaps with this scent forever! So keep this in stock please! • IBehaved well in my cold process soap! COMMENTS: I really like this fragrance oil. Reminds of a pint of my favorite barley filtered water! COMMENTS: Love this one for my beer soap. Behave very well. COMMENTS: Smells GREAT, but as soon as I poured it into my Guinness Stout batter, it almost seized. I scooped the soap out quickly into my mold, and mashed it down with my spatula. I think it will make a nice soap, anyway. Just beware that you have to work fast if you're adding it to cold process soap. "Smells like a cookie, not beer. Seized." COMMENTS: I was hoping it would really smell like oatmeal stout. It does not. It does smell like a cookie. Some people really like that smell. Not my preference. Also, it seized very quickly in cold process soap so, if you use this -- be ready! COMMENTS: I drink Oatmeal Stout. It smells nothing like this FO. This smells more like an oatmeal cookie. It's very sweet smelling. It's a likeable scent but not very beer-y. COMMENTS: Love the smell, love that it flies off the shelves, hate that it is so hard to work with. COMMENTS: This is a great musky fragrance that I soaped at room temp replacing distilled water with Oatmeal Porter, I had no issues with ricing or acceleration. This does discolor to a dark brown. COMMENTS: This is a very versatile fragrance. It is in fact my husband and son's favorite. Easy to work with in hot process soap. No need to add mica, as it gives the soap a wonderful, warm brown color. COMMENTS: This immediately seized my batch. I tried to push it down into my mold and it ended up separating and just being an oily mess. Threw away my soap and threw away the rest of the bottle. COMMENTS: I love the scent, but it performed poorly & seized in my beer soap. Still have some, will try not to over mix & see if it performed better. COMMENTS: This FO turned my soap into mashed potatoes. Love the scent though. "Accelerated BIG TIME in CP!" COMMENTS: Wow...wish I had read the reviews on this one first!! Seized up quickly, but I was able to spoon plop it in. Smell wise is ok, but I prefer the pumpkin lager. I would not recommend using this one in CO soap, but it seems to work in other products...I will probably try it again. 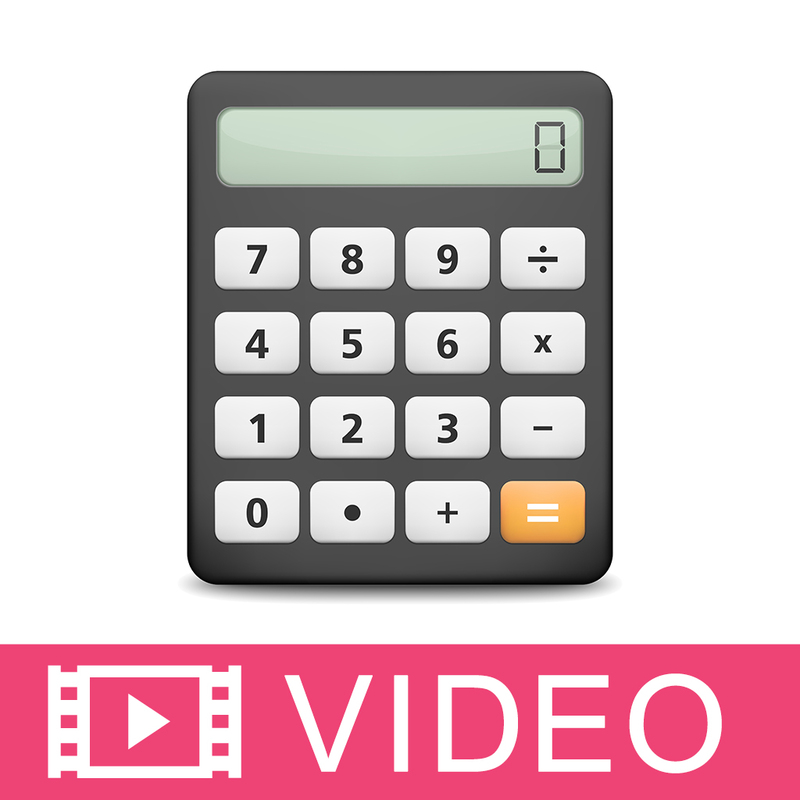 COMMENTS: I used this in HP because of previous reviewers posting they had issue with AC ... I cant speak for the AC but the scent is very strong and hold very very well in my soap , its been a year and it smells fantastic still, It will discolor to dark brown. My little niece refers to it as the cookie soap because of the scent. 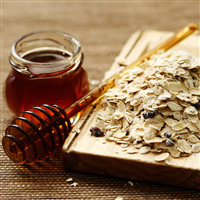 Its a great scent if you like or desire a sweet oatmeal scent. COMMENTS: This has to be my favorite beer scent so far. It is warm and homey. "People go crazy for this scent"
COMMENTS: We mix this with a bit of coffee, and people go nuts over it. We have used it in both soap and candles. In the candles the fragrance does cause the candle to sweat a bit. Just make sure you use the appropriate amount. COMMENTS: I used this to make a beer soap and the smell is like a fresh oatmeal cookie. I thought the scent would be more masculine but the women like it more than the guys do. It did cause my soap to accelerate quickly so be ready to pour into your mold right after blending. "LOVE the smell, but it accelerates trace"
COMMENTS: This is a yummy scent. Smells like oatmeal cookies to me. I used it in my tried and true CP Soap recipe and it immediately starting seizing. Ended up shoveling and cramming it into my mold, but I doubt it will come out good enough for me to sell. It smells too darn good to throw out, so I expect this will be a soap gifted to family and friends. "Oatmeal Stout Beer Soap FO"
COMMENTS: There is nothing that I don't like about this wonderful scent. It is a staple in my fragrance oils and I used it mixed with other scents or alone for my beer soaps. Oat & hops. Men especially love it. Does turn a nice shade of rich dark brown. COMMENTS: This one's amaaaaazing. It has a heady, rich scent that men and women both love. It's hard to pick out individual notes, because they blend so seamlessly. This one's a favorite in lotion bars. COMMENTS: I love the scent of this fragrance oil, although it's not as yeasty/beery as I would have thought. It has a very nice warm, masculine scent, without being like a cologne. It did make my cold process soap darker as it cured. I'm going to try it out in candles next. "Smells Amazing...but hard to use with CP"
COMMENTS: To me, this smells just like a spiced oatmeal cookie. The smell is intoxicating. HOWEVER, it made my batch of cold processed soap start to separate in the mold :/ Luckily, I saw the oil starting to pool on the top, so I hot processed it with the stick blender and it came back together. So, I will only be using it in HP soap from now on...and I will throw it in at the end after I add my "extra ingredients" after the cook. COMMENTS: When I first opened the bottle and smelled a very sweet cookie like fragrance I had to look back at the name to make sure that it wasn't the cookie one I ordered. I like the fragrance for a cookie smell but definitely don't smell any stout at all. "My Beer Loving Husband Approves!" COMMENTS: Even I love this smell! It is a warm creamy oatmeal-y treat! If you know a beer fanatic they will love this. I make beer soap with it. The alcohol smell does not shine through. COMMENTS: This smells almost exactly like an oatmeal cookie. I smell oats, cinnamon, and sweetness, and it smells GOOD, but nothing like beer. Not even remotely. I tried adding a bunch of coffee seed oil, which helped somewhat, but couldn't salvage the lotion bars I made. Disappointed. "Absolutely Love the Scent - Misbehaves Though!" COMMENTS: I have been so excited to make a beer line of bath and body products. My hubby got me every single thing on my 'Wish List' for Christmas (best presents EVER) and low and behold, WSP's beer fragrances were in the box! I made my first few batches today, making them in 1 pound batches to 'practice' with not only replacing water with beer but also test ways to deal with how impish WSP's beer fragrances are in CP. So, for this fragrance oil specifically, I started my batch with a very robust, dark oatmeal stout that I boiled down the night before to remove the alcohol. I formulated my CP recipe with 80% soft oils/20% hard, did not discount my water (beer), and soaped at room temp. Everything was going beautifully. Then, I added the fragrance and it began to accelerate. I did not mess around with a smaller or detailed mold, simply because I do not envision beer soap as 'pretty and dainty.' Opting for my loaf mold, I found that my 'game plan' was effective in ensuring I had enough time to get everything smoothly into the mold...but it still hardened up within about three minutes of pour so work carefully but quickly. COMMENTS: My first impression on this FO was good! I really liked the smell right out of the jar. My final bar was absolutely delicious! Some reviewers say that they couldn't pick out the beer, but I could. Naturally, I paired this scent with a hearty stout replacing the water. Maybe that helped keep the beer smell in my final product? I started with the CP method but had to switch to HP. Do not expect to do ANYTHING fancy once you add the FO. This one seized up straight away and started pushing out puddles of oil. Just "whip it good" and make sure to prepare your crockpot ahead of time! I did toss in some oatmeal while it was in the crockpot just to help with the texture, that may have helped absorb some of the oil it was expelling. I also think it may have helped the soap hold the fragrance. Luckily, everything turned out great! The bar did discolor to a beautiful earthy brown. Which worked for me, but would probably need a vanilla stabilizer if you want a different color. The bar was very popular and I have ordered more of this "temperamental" FO. COMMENTS: I used this scent for a batch of cold process goat milk soap. I liked the scent out of the jar at first, but it did not make me think of a stout beer. It smells more like a typical fall pie or baked good scent. I added it to my soap and it seized up pretty darn quickly. I had to spoon it into the mold and I ended up with some air pockets where it didn't settle properly (even with banging the mold). I'm curious to see how the scent does now that the soap is cut and curing. I'm not sure I'll use this one again. If it sells very well, I guess I'll have to deal with the bad behavior in the soap. "Smells great, misbehaves in cold process"
COMMENTS: I used this in a batch of cold process soap and immediately upon adding the fragrance, the batch seized. I assume it would be nice in lotions and creams, but for CP, I'll stick with another supplier. "Smells great - but a stinker to work with"
COMMENTS: Smells great - not like beer though! I had major acceleration but was able to pop it into the mold. However later there was a pool of oil on top. I had to throw it in the crockpot and try again. I've tried this recipe with another brand of Oatmeal Stout several times and it was fine, but this one was not working for me. I love the scent and as do my customers, but be prepared to move quickly. I did do a small batch HP and that seemed to work much better with this FO. "Not a fan of the scent"
COMMENTS: My family wasn't a fan of the scent. I thought it had more of a sweet smell to it. It worked well and the fragrance held up in my m&p which. 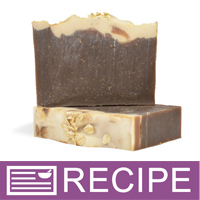 "Oatmeal Stout Fragrance Oil "
COMMENTS: Made a beautiful soap, smell is not like beer. Which I Love. The scent is very appealing. COMMENTS: This seized my beer soap. I will try it again without the beer to see if I can get any handle on it at all. 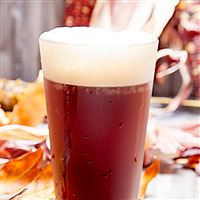 It's a wonder beer scent, and over time, the beer part fades, leaving a great oatmeal scent. COMMENTS: I loved this fragrance but wasn't expecting how quickly it moved in my CP soap. It discolored to a dark brown and still smelled lovely though. "divine scent, but not like a stout"
COMMENTS: This fragrance reminds me much more of maple brown sugar oatmeal than of stout. However, I used it in a beer soap and people are raving about it. 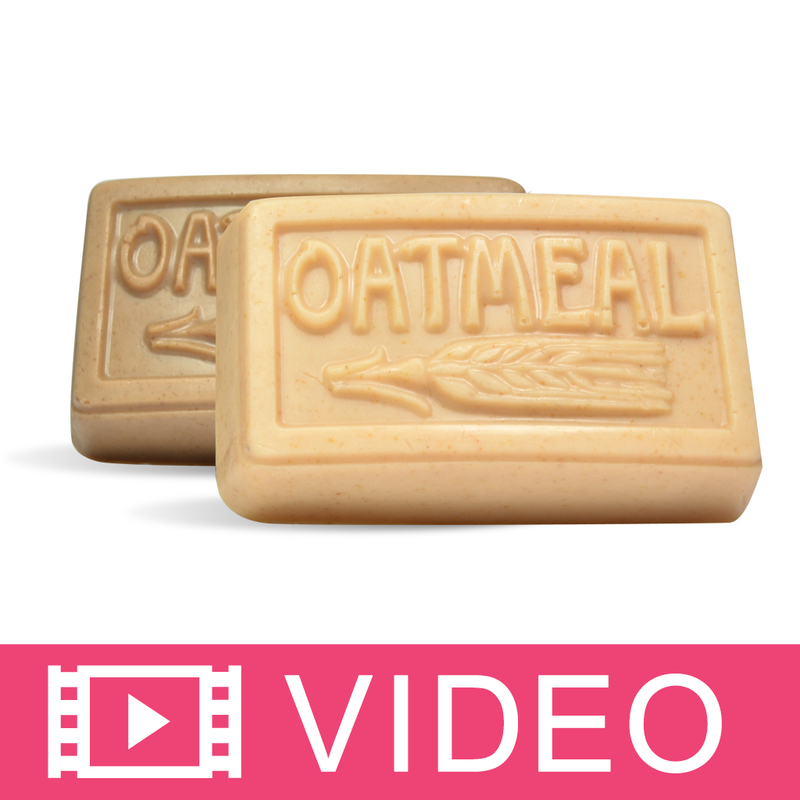 COMMENTS: I've made a lot of Oatmeal Stout Soap using the same recipe and stout beer. This was my first time using WSP Oatmeal Stout. My oils were 76 degrees and Lye/Beer was 80 degrees, so basically room temperature. Usually, I'm able to make a nice drop swirl with a small amount of TD. I mixed the fragrance into the oils and had significant acceleration when adding the lye. It was manageable... I got it in the mold with a little drop swirl. Unfortunately, and hour after putting it in the oven, I noticed a large pool of oil on top and had no choice but to dig my oatmeal topping off and mix it again in the mold. I hope it set up. If not, I guess it will go in the crock pot tomorrow. Unfortunately, I won't be buying this particular FO from WSP again as I have had better luck with another brand. I really hate leaving a negative review, but this FO is troublesome and really ruined a double batch of what is usually a lovely soap. COMMENTS: I thought this smells amazing, way better then I expected however, it doesn't smell like beer. My husband, being the Irishman he is, was disappointed. COMMENTS: I love the smell of this fragrance. I added the fragrance to the oils to try to avoid the acceleration and soap on a stick mentioned by other reviewers. It didn't accelerate, but riced when I added a 50:50 lye water solution. For the rest of the liquids I used Guiness stout and coconut milk so I'm not sure if that had anything to do with it. I had to stick blend it quite a bit to get rid of the ricing but I didn't get soap on a stick and was able to pour it into a column mold. "NIce smell, but not Stout"
COMMENTS: This FO smells just like a B-52 (Kahlua, Baileys, & Grand Marnier) scented candle I had twenty years ago. So I think the name for this FO should be renamed B-52. This fragrance made my soap seize like I'd never seen before! (I also used beer instead of water, with the alcohol still in, so that may have also been a factor) I plopped it into the mold. It turned out fine in the end. I probably would not have purchased this if I had read the reviews more carefully about the seizing. But I have a lot left and may use it in M&P or Liquid Soap, or use more caution. COMMENTS: I love this smell. I use it in my beer soap. COMMENTS: I use the Oatmeal Stout in an exfoiliating bar I make using the DF Goat Milk Base. It has an excellent aroma. COMMENTS: Absolutely love this scent but it moved SO quickly I ended up with brown mashed potato looking soap instead of the creamy beer soap I was hoping for. "Stinks and Soap on a Stick"
COMMENTS: It is more oatmeal than beer. COMMENTS: This fragrance is very nice even after its cut. It's strong and smells of oatmeal. I think it smells a lot like oatmeal milk and honey. A good seller for me so I think this scent will sell well too!! I didn't give it 5 stars because it definitely moved quickly and I barely had enough time to throw it into the mold. I soap at room temperature. I will use it again though... maybe in M&P this time. "Didn't Appeal To Me At All"
COMMENTS: I can't smell any "stout" in this scent. It smells sweet and more of a vanilla cinnamon scent. I had high hopes but I don't think I'll reorder. "Smells great but not so good result"
COMMENTS: I used this FO to add to my seasonal soap line. Smells ok, wish that the stout rang through a bit more...doesn't really smell like a Oatmeal Stout beer that I'm use too. Not very nutty, probably won't buy again. "One of my best selling scents"
COMMENTS: This is one of my best selling scents. COMMENTS: Everyone loves this, I sell a lot of it and will continue to buy it. Thanks for the wonderful scents! COMMENTS: This FO will work in CP soap you must work very, very fast I have soaped at 80* ,90* and 100* with this FO . If you want to color your soap mix everything first add the FO to the largest color amount. DO NOT use a blender this oil needs to be done by hand with a wisp it will seize instant whip it in as you are ready to pour it in your mold. 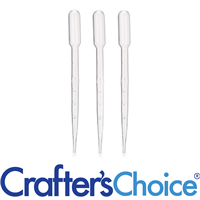 Not for the faint of heart but it is worth the fast pace you need to use it in the end. COMMENTS: I just received this last week. In looking back at some of your Handmade issues, I found a recipe for Oatmeal Stout Beer Soap, which called for this fragrance. What a hoot to make! I actually had to cook down the beer and then make it into ice cubes before making the soap. The soap, incidentally, turned out perfect! Can't wait to do it again! This fragrance is exactly what this recipe looks like!! "Great scent, just don't buy it for "beer" products"
COMMENTS: This scent is nice and strong, and while unique, it's very pleasant. I've had many people request this for things other than what it is meant for so I plan on buying this again in the future! • Don't call it "stout"
COMMENTS: This product smells more like fresh oatmeal cookies than stout. I did not have problems with seizing although there was a slight acceleration of trace. COMMENTS: I mix this with one other FO and it is our top beer soap seller. I can't keep it in stock. It is appealing to both men and women. I even have had a few kids who love it - much to their parents' dismay. COMMENTS: I was hesitant after reading the reviews so I was prepared for it to seize up. Luckily it didn't. It did accelerate quite a bit but I was able to get it into the mold in time. Great fragrance. Used the discoloration to my advantage. Will order again since I know how it performs. "Whew - It sets up FAST!!" COMMENTS: I give this fragrance 4 stars because it is stubborn to work with BUT it smells awesome - if you want to do cold process with it, plan your design so that the part of your soap scented with it goes in FIRST and FAST. It will seize - think soap on a stick. I read the reviews before I used it & knew it would be a race! I love everything oatmeal/honey so I had to give it a whirl! Used all the tricks I know of to work with it. I divided the base for a lighter top & poured the scent into the other (used smaller amount of the FO) - whisked it FAST and poured. Now I could play with the top! Did a pretty cocoa powder pencil line between the layers. That bottom layer set up very fast... and has turned into a dark honey color - it got hot, went thru a full gel, had to keep an eye on it. And it was worth the effort as it looks & smells awesome! Oh- & I will have to look for a different FO for my beer soaps, as I do not think 'beer' when I smell this! COMMENTS: This is a great scent for men's shave soap! Huge hit! "Wish I could eat it..."
COMMENTS: This scent literally smells good enough to eat but I will settle for bathing in it! I use this in my hot process beer soap and everyone loves it!! COMMENTS: We love the smell of this fragrance oil as it is more oatmeal then it is alcohol (I know, hard to explain). 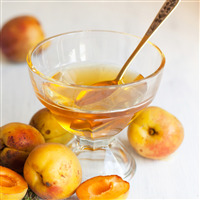 We are able to mix this with another fragrance oil to get the exact scent that we want and it compliments it perfectly. COMMENTS: looking for beer smell, keep looking. The up side awesome butter popcorn jelly bean sent. I will keep using it. • the smell of jelly bean!!! "Quick to trace but a hit with the guys!" COMMENTS: This fragrance accelerates trace. I quickly ditched my mixer and resorted to mixing by hand. Even then it was too late. I squished the now super thick batter into my mould and hope for the best. The fragrance permeated the house and soon I hear neighbors saying what smells so good as they walk by. The soap had turned a dark brown, but when cut it looked like the cross section of a Reese's peanut butter cup. It did eventually became a uniform brown as it cured. All my guy friends thought it was the BOMB and have asked for more. One said, Finally, a manly scented soap! I'll definitely add this to my men's line. COMMENTS: Didn't really smell like oatmeal stout; a little too sweet and chocolate-heavy. I LOVE stout beer and was really excited about this, but it wasn't really true to stout. COMMENTS: Once again I tried a fragrance oil from this company and it seized making CP soap. "Smells delicious...however, did rice or seize"
COMMENTS: Followed the directions to a "T". First, had to actually heat the lye in a hot water bath. Mixed to not right before a trace, took out 1 cup for the matte white pigment, gently stirred in the FO and did fine until I just started pouring into the mold and it riced or seized. Quickly poured back into the bowl, remixed and had to "glop" it into the mold. Beat it to death on the counter to try and get it into the corners and get the bubbles out??? The 1 cup of matte white w/o the FO did beautifully! COMMENTS: This is a great smell for a stout beer soap BUT it does accelerate trace instantly. I would buy oatmeal & honey instead, the fragrances are nearly identical. Oatmeal & honey is much easier to work with. COMMENTS: This smells soooo good. I want to eat my bars every time I go in the room. The fragrance changed my soap base to a beautiful dark beer color. Hope its a good seller, I want to continue smelling it. COMMENTS: I wanted to make a beer soap, I followed the recipe and everything turned out great. I find this smell a little overpowering and sweet, but the other half LOVES it! He thinks it smells just like a really wheaty hoppy sweet beer. So, I made it for a mens soap, so im happy! COMMENTS: This scent is fantastic! It smells like Guinness beer and an oatmeal raisin cookie. I sold bars of soap made with this scent as they were setting up because people loved the smell so much! Great for men's soap- after all, you can't go wrong with anything that has beer/ale/stout in the name! COMMENTS: When I first smelled this one out of the bottle, I knew it would be a great one. The soap accelerated some, but it could have been my warmer temps. I was able to whip it back into shape. The batter was yellow, so I knew it was going to discolor somewhat. The vanilla content was not present on the description so I took the chance with a light brown mica. It ended up discoloring to a dark brown. I also made solid lotion bars and they smell heavenly. This is a keeper that I will try next time with beer as the full liquid. Gotta try this one! "Amazing foody Scent! A must have!" COMMENTS: A++++!!! This scent is amazing and I highly recommend it! My husband is a home brewer, so I am very familiar with the scent of all things beer, so I was especially excited to try this scent. To me, it is a bakery scent. It is rich in butterscotch, oats and a hint of orange. I will probably market it as a cookie scent. It really is delicious smelling and I know it will sell like crazy! Be prepared to work fast. I would recommend soaping at room temperature. I soaped around 100 degrees and it moved very fast! I had not planned to add color or swirl, which is good, because there would not have been time for that. It did rice, but I whipped it smooth with the immersion blender. I also added oats to the top, which made the top look prettier. The scent is so divine, that it is worth the extra effort it takes to work with. It does discolor caramel, but this is a perfect match for the scent. The scent is nice a strong as well!!! I also made soy tarts and the throw is amazing! This will be a big hit for anyone who loves dessert scents! Another winner!!! 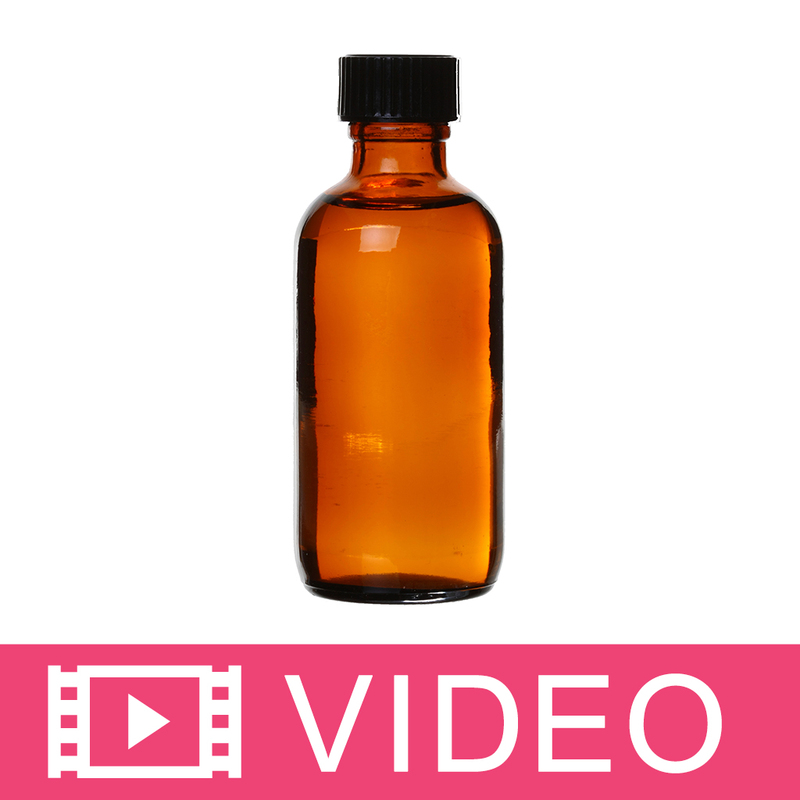 "I received a 2 oz sample bottle of Oatmeal Stout fragrance oil. It says on the bottle that it contains vanilla. I don't see any information or % of how much vanilla is in it. Please help. Thank you. " Staff Answer I apologize for the conflicting information. 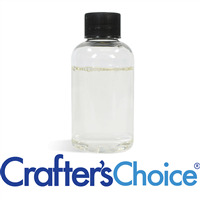 Our website has been updated to reflect the 8% vanilla content of this fragrance oil.